The number one choice as a large screen TV for medium to large size rooms. This TV comes with a narrow frame with ultra slim bezel that blends with the aesthetics within your room. This TV has four HDMI outputs and can be upgraded to smart TV that can have you experience the most advanced technology in the television industry. 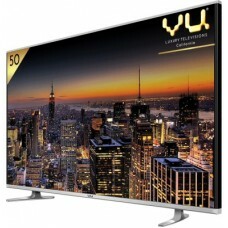 Upgradable to Smart TV or Super TV with built-in computer compatible to MAC, Windows 8 or Linux OS.